Thousands of businesses, from high technology and light manufacturing to major service providers have chosen to relocate and expand in Central Florida. According to Inc. Magazine’s recent study, most companies selected the area due to affordable and high-quality living. People find living and working in Central Florida incredibly rewarding – affordable housing, a well-developed university system, fantastic recreational offerings from amusement parks and nature preserves to Florida’s world famous beaches. The County Seat of Imperial Polk County, Bartow is located just south of the I-4 corridor in Central Florida’s business corridor. Located midway between Tampa and Orlando, Bartow has access to rail, road, air, ports, and mass transportation. As the governmental center of a county with more than a half million people, State and County governments are large employers in Bartow bringing thousands of county and state workers to Bartow each work day. In addition, Bartow is home to thousands of acres of former phosphate land poised for a variety of development opportunities. Totaling 510 acres on the West side of Hwy. 98, Silver Oaks, a planned Bartow development has potential to transform the north landscape of the area. With the City of Bartow’s approval, Silver Capital Florida plans to create a residentail community with about 40 acres of commercial development and 55 acres designated for apartments or senior living. Selling a northern parcel of its site to Lakeland Regional Health, a cancer center, wellness clinic, emergency center and four medical office buildings are planned for the site. Stuart Crossing is more than 700 acres between Hwy. 98 and US 17, and includes the old homestead of the late J.K. Stuart. Commercial development will dominate the northern end, and on the southern end near the Ernest M. Smith Boulevard, residential houses will spring up. The plan calls for more than 200 acres of green space and trails, and flexible opportunities for developers. An ideal community in which to live, learn, work and play. The City of Bartow’s marketing tagline is “Our History Comes to Life.” This recognition and commitment to the historic nature of the city is a testament to the pride its citizens have for their hometown. The city’s Community Redevelopment Agency has invested millions of dollars in reviving its historic Main Street. The redevelopment efforts have attracted new businesses and have begun to bring life back to the city’s downtown. Many historic buildings have been, or are in the process of being, rehabilitated to house retail and office space. 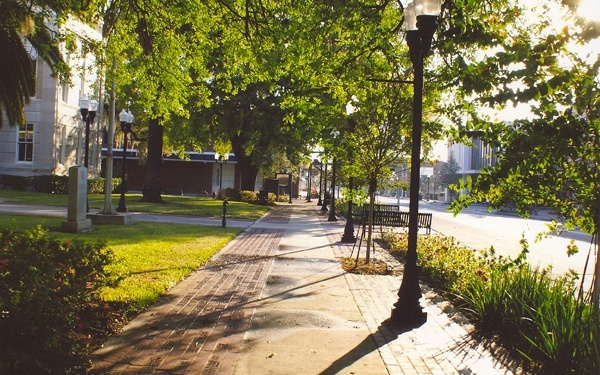 Mainstreet Bartow, Inc. has a properties locator for downtown Bartow here. The Main Street Bartow community is an eclectic collection of restaurants with local and international tastes, boutiques, cafe’s, antiques, salons, gift and home decor stores intermingled with professional services synonymous with a county seat. Main Street Bartow is also the home of Polk County’s History Center, housed in the Historic Polk County Courthouse, which was built in 1908. STUART BUILDING 2 OFFICE SUITES FOR LEASE HERE. The historic downtown Stuart Building is located at 160 E. Summerlin Street, Bartow. For more information, click here. As part of the Clear Springs project, the Polk State College/Clear Springs Advanced Technology Center represents a public/private partnership between Clear Springs and Polk State College that will strengthen and grow both business and education in the region. 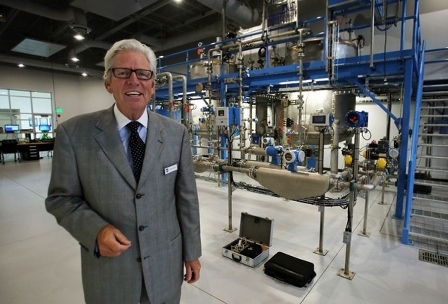 The advanced technology center began as a planned $24 million facility based on a $12 million donation by Stan Phelps, Chairman of Clear Springs, and a $12 million match being sought through the State of Florida Facility Enhancement Challenge Grant Program. In addition to the $12 million donation, Mr. Phelps has donated 20 acres of land for the facility. Quality of workforce is one of the first questions companies ask when they consider locating or expanding a facility. Workforce training at the Advanced Technology Center addresses a critical industry need in high-wage, high-skill training and provides companies across Florida and throughout the country with a much needed highly qualified workforce pool. Support of anticipated distribution routes via ship, rail, and road. Mosaic’s Streamsong opened to the public in the fall of 2013, and is just a little southwest of Bartow on 16,000 acres of Polk County land. Streamsong provides a refreshing contrast to the high-rise coastal hotels and themed destinations found throughout Florida. 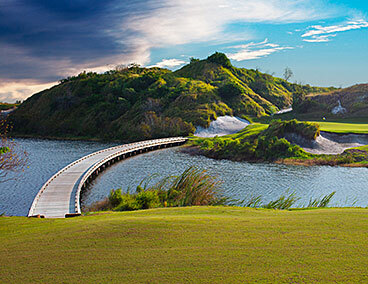 At Streamsong, you’ll discover an authentic Florida experience amid pristine lakes and rolling hills. Vacationers and conference attendees enjoy not only premier resort features like world-class golf and fine dining, but also enrichment programs centered on the arts, wellness, nature and more. Streamsong offers a unique glimpse into Florida culture and history. So, whether your stay will be for business or pleasure, you’ll enjoy a getaway like no other. Could create 8,500 jobs upon completion of the terminal. LEGOLAND® Florida Resort is a project of Merlin Entertainment Group, the world’s second-largest operator of tourist attractions behind Walt Disney Co., which purchased Florida’s oldest theme park, Cypress Gardens, and transformed the park into one of the world’s leading tourism destinations. Located in Winter Haven, 15 miles northeast of Bartow, Legoland created 1,000 full-time jobs for the area. Other Legoland parks, one in California and three in Europe, draw 1.5 to 2 million guests per year. 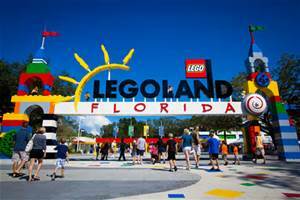 LEGOLAND® Florida Resort is built for kids. The 150-acre interactive theme park offers more than 50 rides, shows and attractions, restaurants, shopping, a breathtaking botanical garden and the LEGOLAND Water Park all geared to families with children ages 2 to 12. The LEGOLAND Hotel is located just steps from the park entrance and features 152 rooms. Heartlake City is a colorful new land based on the LEGO® Friends toy line. Florida Polytechnic University’s campus alongside Interstate 4 has forever changed the region. Located north of Bartow, the research university generates economic growth by enhancing Polk County’s ability to recruit large companies. It will also create high paying jobs and a more highly-educated work force. 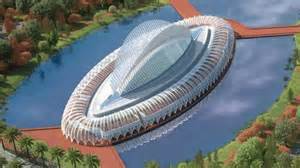 Florida Polytechnic University commissioned the acclaimed architectural firm, Santiago Calatrava/Festina Lente Services, Inc., to design the first building for the school’s new campus in Lakeland, and updated the campus master plan. FPU is Florida’s first and only polytechnic.